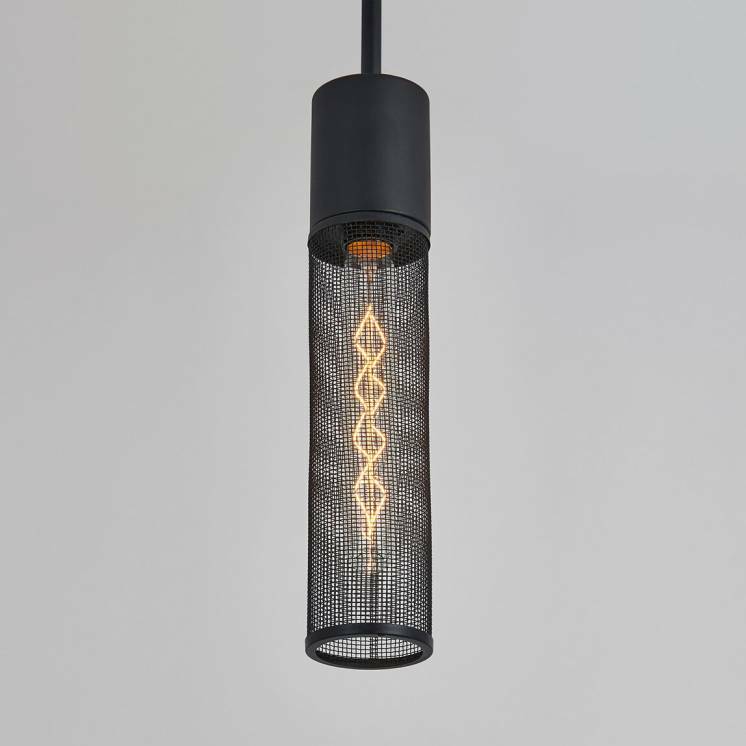 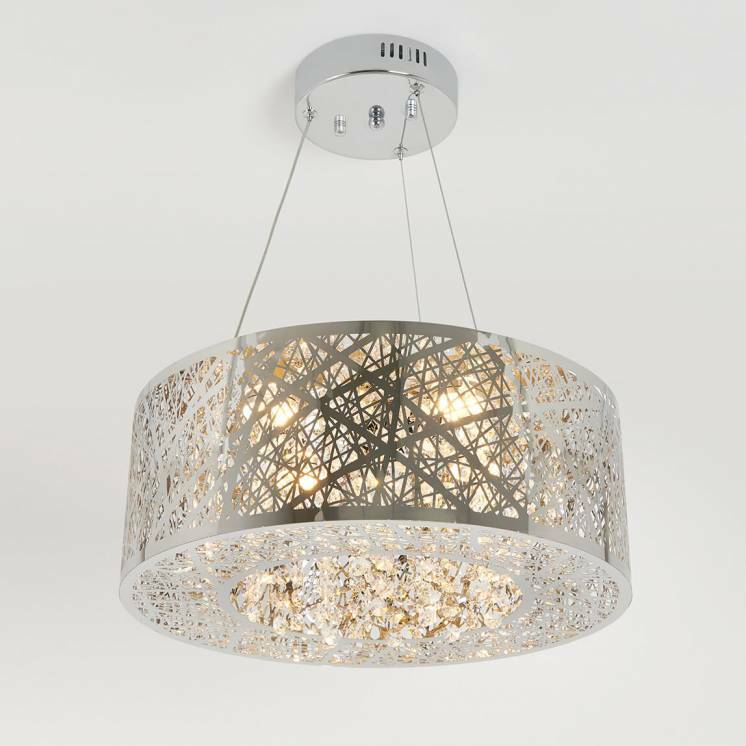 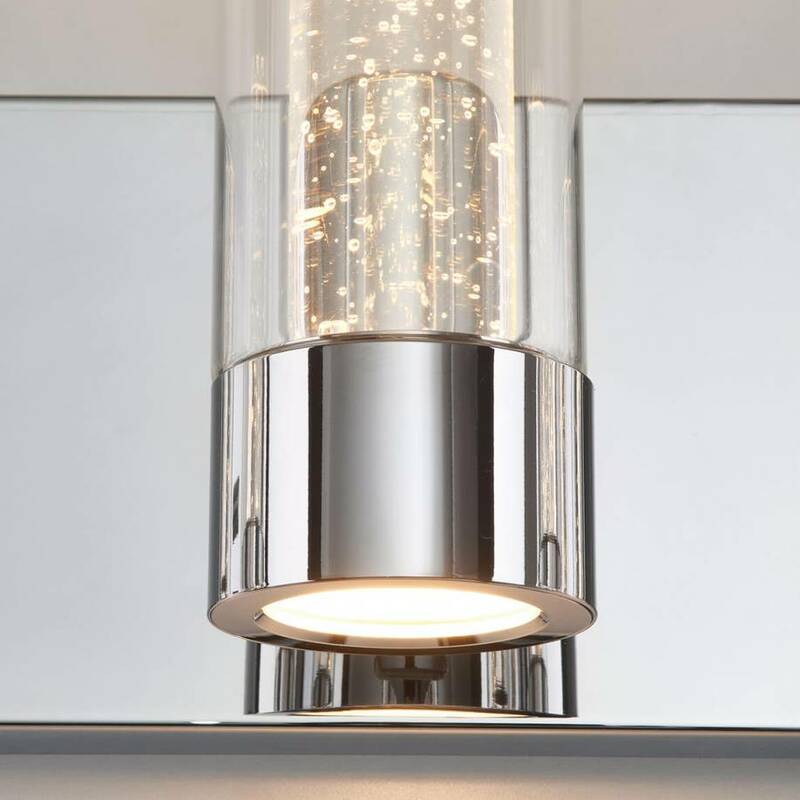 Give your interior a high-class look with the luxurious Ratio 4 light fixture. 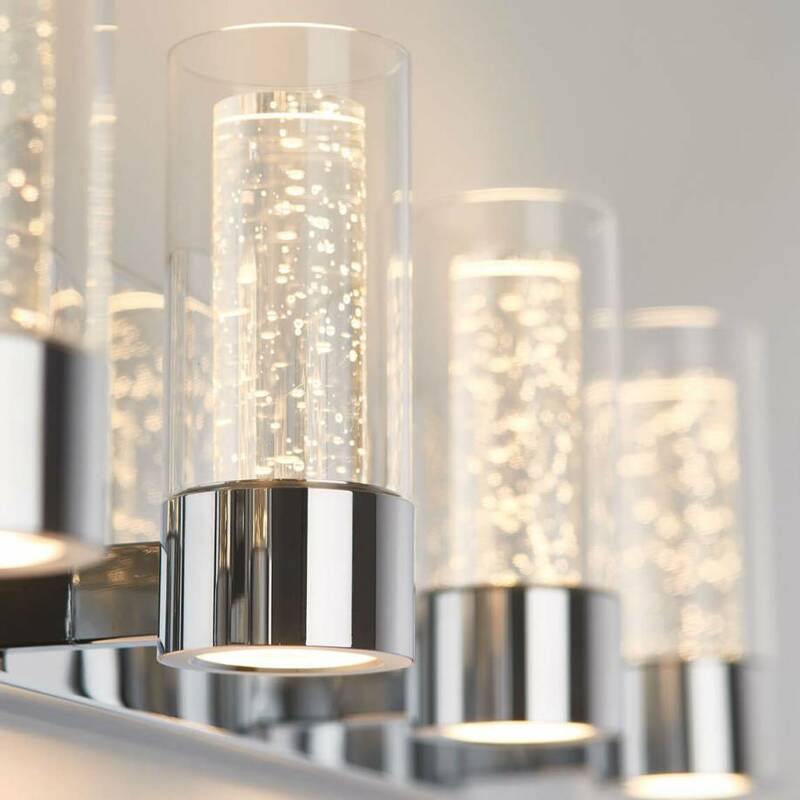 With its 4 wide cylindrical shades made of transparent glass and enhanced with unique shiny bubbles, this mural applique is sure to give your home a sparkle. 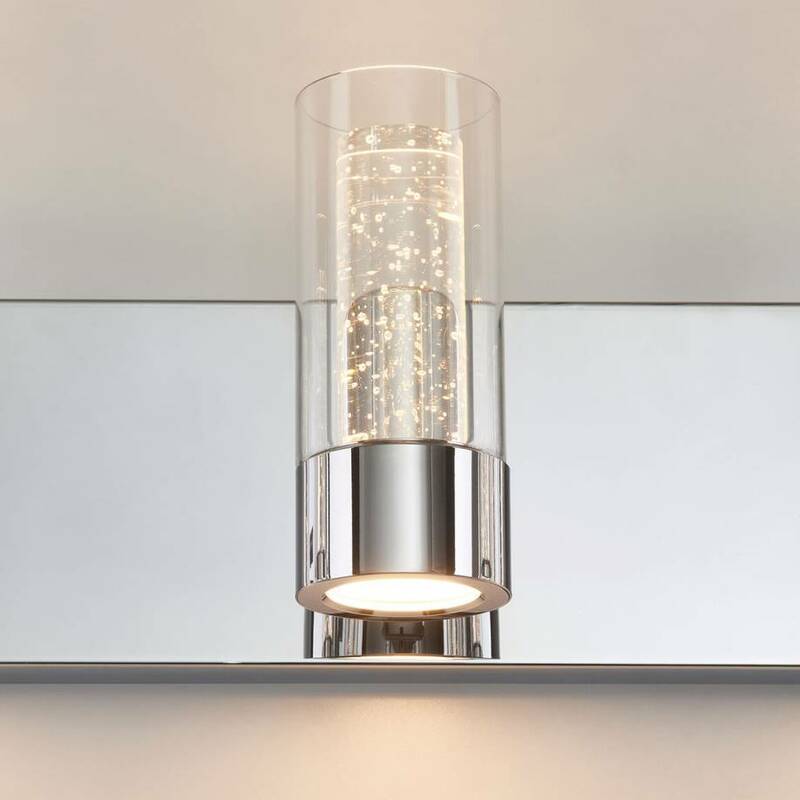 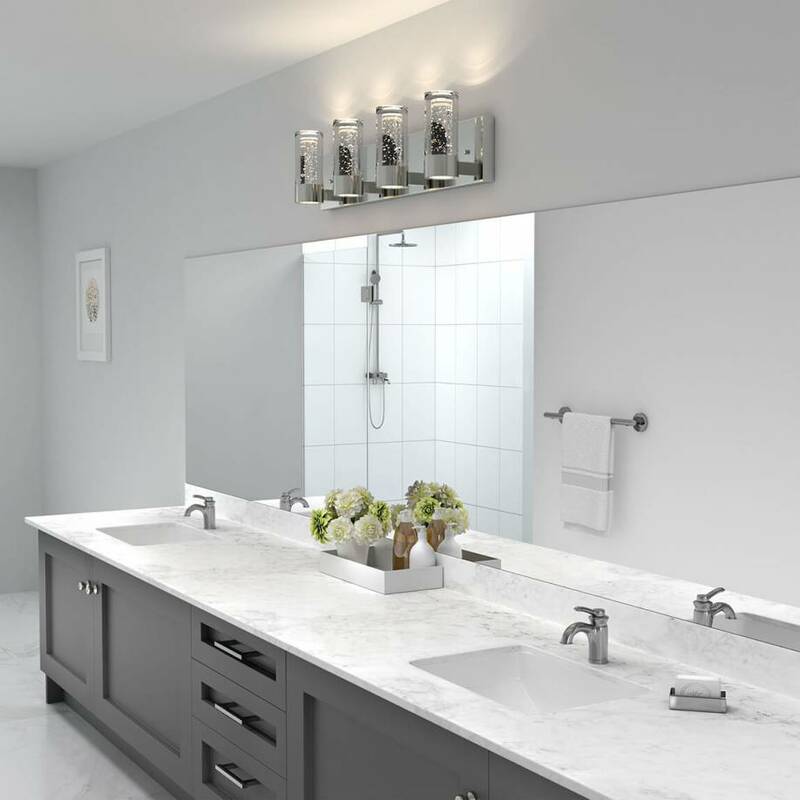 Your bathroom, bedroom and lobby are just some of the spaces that would benefit from this dazzling piece. 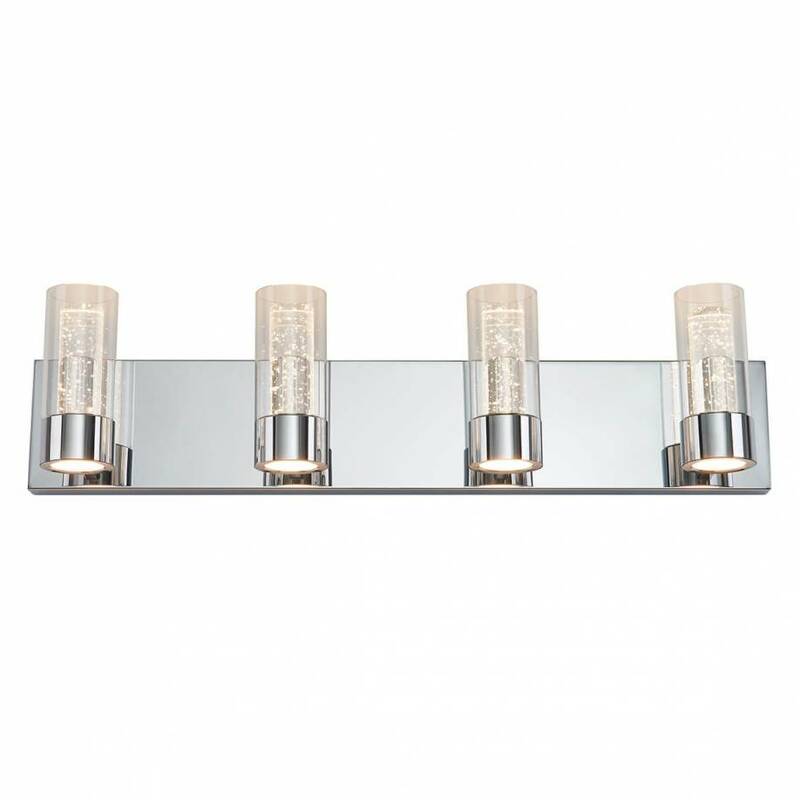 The chrome frame and sumptuous flair of this model are also sure to bring incredible character to your decor. 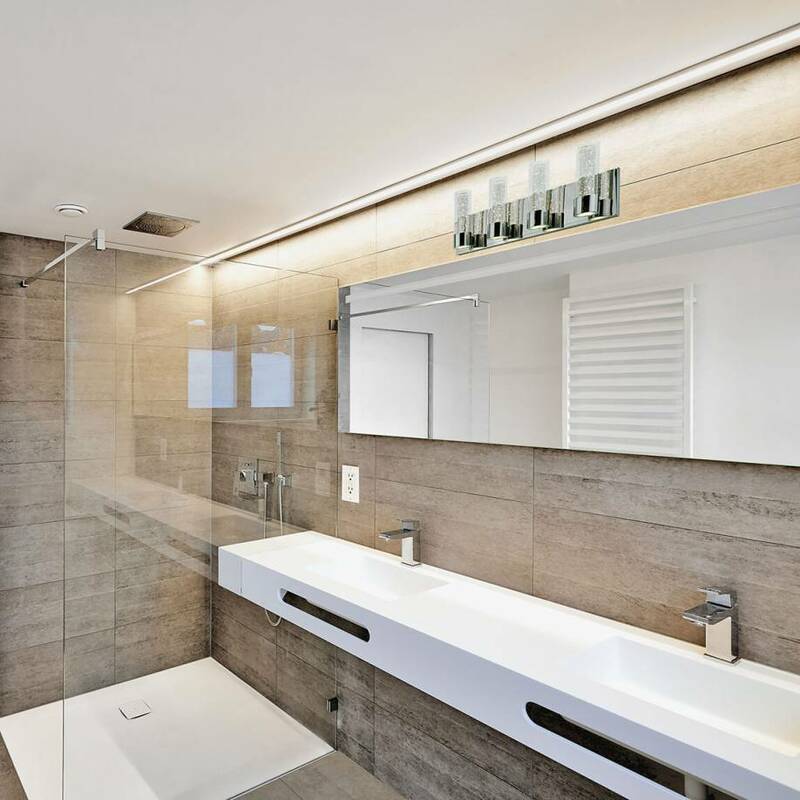 The Ratio 4 isn't only elegant, it also provides you with a lot of flexibility. 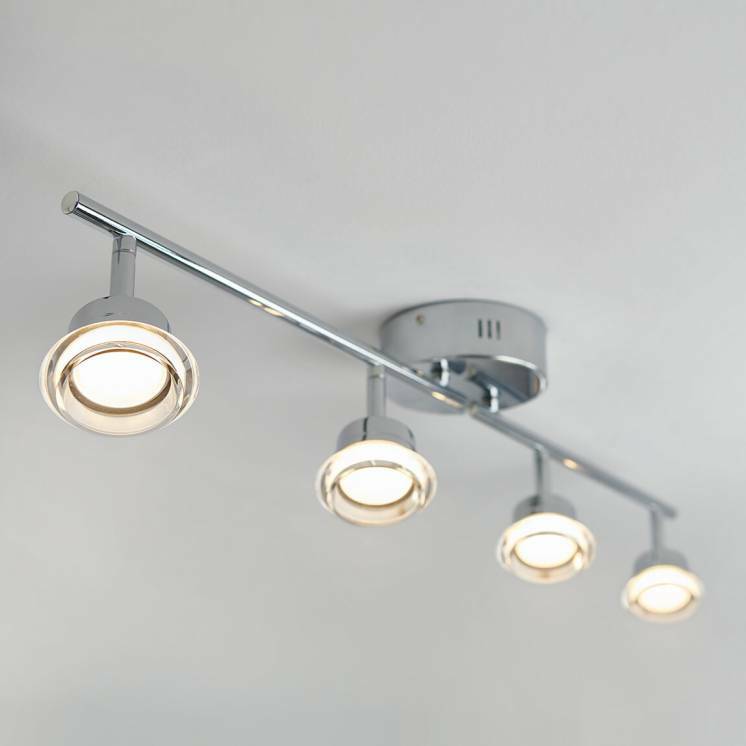 By combining it with a dimmer, you can easily master all types of interior atmospheres. 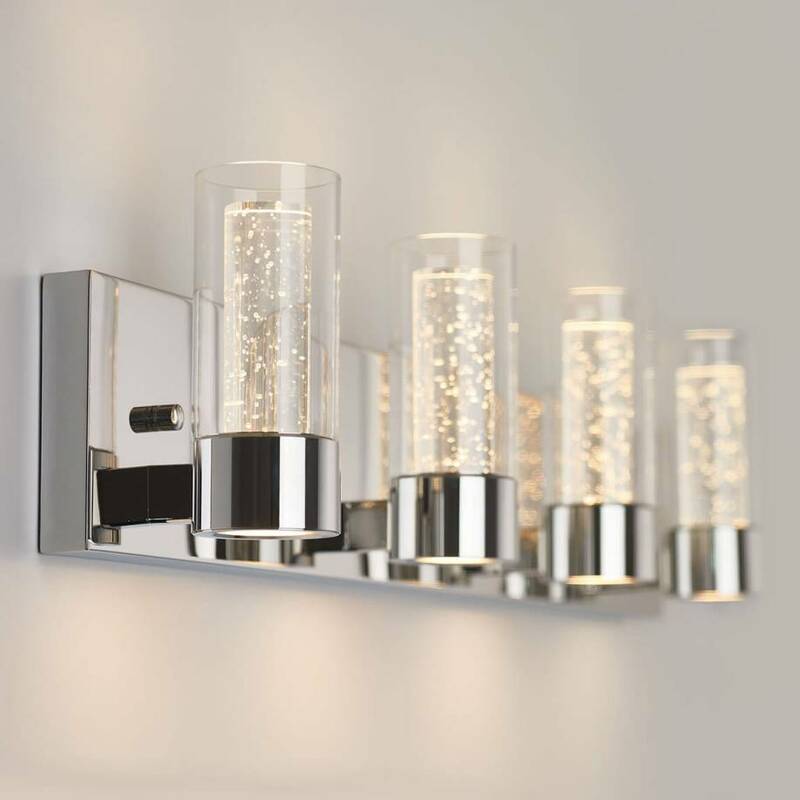 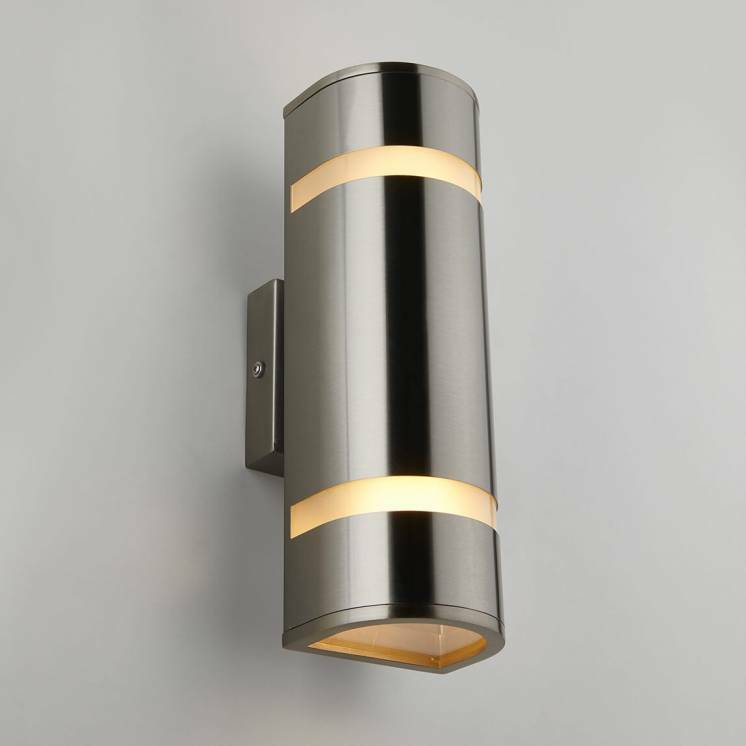 Affix it to a wall to discover how much this mural lighting fixture can enhance your interior.